In March 2018, World Kidney Day hosted a #WKDchat on Twitter. That is when we found Holly Loughton, a New Zealander living in the north of England. Holly was diagnosed with Chronic Kidney Disease when in 2010, when she was 23, and got a kidney transplant from a deceased donor in 2016. 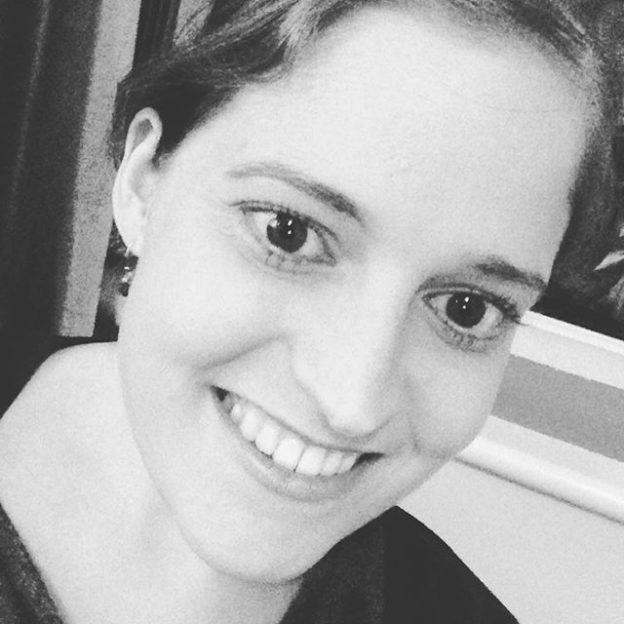 Holly documents her life after the diagnoses in a very passionate and personal blog called Secondhand Life and has an active presence on Twitter, where she passionately advocates for organ donation, shares her thoughts and joins health-related conversations. Holly has kindly agreed to write a blog-post for World Kidney Day website to share her voice. Chronic kidney disease has turned me into someone I never thought I would be. It has made me bold. I think it goes without saying that any kind of serious medical diagnosis changes your life. How could it not, when it presents you with circumstances so far removed from what you used to think of as normal, and often redirects your entire future down a path you had never envisioned. I vividly remember being newly diagnosed. I was 23, and although I knew on some level that this wasn’t something that was going to go away with a course of antibiotics, I absolutely didn’t understand how life-changing it really was. Even though I was physically present in clinic, my mind was often miles away. Up until then I’d only ever been in hospital as a child, so it seemed natural to me to just accept that what my consultant decided was what would happen. The idea that I had an active role to play in this never crossed my mind. Eventually, my health deteriorated to a point where I couldn’t ignore how ill I was. My passive and detached mindset gave way to an anxious one. Hundreds of possibilities whirled around inside my head. There always seemed to be far more questions than answers. Whenever I felt like I might be getting my life back on an even keel, something else would be thrown into the mix and suddenly things were more jumbled up than ever. I didn’t realise how much I liked being in control until I wasn’t. For several years after my diagnosis, my default coping strategy was to bury my head as far into the sand as I could to try and ignore it all and carry on with life. But as my renal function continued to decline, and an indefinite period of dialysis loomed larger and larger in my future, my mental health also went downhill. Burying my head in the sand had been no help at all. I am enormously grateful that I had access to a renal psychologist at my unit, because the hours and hours I spent in her office represented a turning point for me. When I was there, we didn’t talk about kidney disease, we talked about me. Yes, I was sick. Yes, my health was deteriorating. Yes, my kidneys were eventually going to fail. Yes, life on dialysis would be different to what it was beforehand. All of those things were unavoidable. But, in amongst all of that, I was still there. Becoming sick had not erased the hopes, plans and values that made me who I was. There were things I wanted to do with my life and goals I wanted to achieve. I had a voice that mattered. What I wanted was important. Even within the circumstances I’d been landed with, my life, and my body, were still my own. I realised that I did not want to spend an endless number of years sitting quietly in the nephrology clinic, while various medical staff dictated what was going to happen next. I was, and often still am, a fairly softly spoken person, but this did not mean I had to be a passive one. Medical treatment wasn’t something to be done to me. It was something to be done with me. I just had to decide what I wanted that to look like. Up until this point, I had been too scared to do much reading around the topic of kidney disease and various treatment options. While I’d sat through several meetings with the “pre-dialysis team” I never really properly engaged with them. It was too big to contemplate. It seemed that everything I read and everything I heard was overwhelmingly negative. I was afraid of joining forums or Facebook groups or attending patient information days. The fear of discovering something I didn’t want to know hampered my ability to see the benefits of doing those things. I don’t remember exactly when I discovered the truth of the saying that “knowledge is power”, but once I worked it out I wished I’d realised it sooner. The “dialysis decision” booklet came out of the box at the back of the cupboard. I started actively Googling stuff, I asked genuine questions at clinic (and listened to the answers!) and I even found the courage to speak to other patients. Progressing from anxious to empowered didn’t happen overnight. It was a steep learning curve, but over time, I found that the more control I had, the more control I wanted. As soon as I got my head around the fact that just because I couldn’t make this illness go away didn’t mean I had no say in how I dealt with it, my whole perspective changed. Although some things still really scared me, I found that I wanted to proactively choose which treatment options to pursue, and I also wanted to feel that I could speak up if I wasn’t happy with something my medical team suggested. Another big change for me was my attitude towards other patients. I had spent many hours sitting in waiting rooms feeling like the odd one out, by far the youngest patient there, sometimes by twenty or thirty years. This made things worse for me because I thought “What can I possibly have in common with these people? I don’t belong here.” Amazingly, once I got over my fear of Google, and my suspicion that it only ever held bad news, I discovered I wasn’t the only one. All around the world were other people dealing with similar circumstances to myself. A fair few of these people had arrived at the same conclusion I’d reached, that taking control of your circumstances was the way forward. This shared mindset meant we could encourage each other to ask questions, to speak up and to push for treatment options that fitted in around the kind of lives we wanted for ourselves, regardless of how different those lives might have looked. While I’m not able to give you advice about specific choices you should make, I believe it is impossible to overstate the importance of making sure it’s you who makes them. Think about yourself beyond your illness. What matters to you? What do you want out of life? What can you compromise on and where will you insist? With these things in mind, do your research. While not all sources are created equal, there’s a wealth of information out there that’s absolutely worth reading. Actively participate in your clinic appointments, both by listening and by asking questions. Speak to other patients. What works for them might not work for you, but they may also have experienced something you can learn from, or have a perspective you hadn’t considered. These things might sound overwhelming and too hard initially, especially if your mental or physical health isn’t in a good place, but you don’t have to do them all at once. If you choose one thing and start with that, you might end up surprising yourself with just how powerful your voice can be. WHO HEARTS Package: a guide to CVD management If you have a spare, why not share?